With over three decades' woeth of experience in commercial cleaning, NLC Solutions has built an extensive network of clients across New Jersey, East Brunswick included. Whether you are looking for a dedicated cleaning specialist to maintain your factories or offices, we have got your back. Since our inception, we have an unwavering commitment to providing first-rated commercial cleaning services for our clients. TEast Brunswick is hailed as one of New Jersey’s 25 great towns. The township has a total area of over 22 square miles and a population of approximately 47,512. Its star attractions include the Crystal Springs Aquatic Facility, Tamarack Golf Club, and more. The local government has also predicted that East Brunswick will require additional professional office spaces over the next two decades. East Brunswick borders Middlesex County municipalities of Spotswood, Old Bridge Township, Milltown, Edison Township, and Monroe Township, just to name a few. Floor Care in East Brunswick:NLC Solutions provides professional floor waxing services. We can restore your floor's beauty and shine with exceptional ease. Industrial Cleaning Services in East Brunswick: Allow our stellar power washing services to restore your commercial property into its original glory. The before and after pictures will be amazing! Green Cleaning Services in East Brunswick:We care for the environment and the safety of our clients. That is why we utilize eco-friendly cleaning products. Cleaning Supplies in East Brunswick:Do you need to purchase cleaning supplies for your business in bulk? 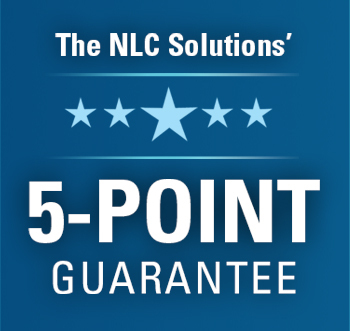 Look no further than NLC Solutions! Get a quick cleaning assessment by contacting NLC Solutions today!